Search Engine Optimisation (SEO), Content Marketing, Conversion Optimisation, PPC Packages, google search and digital marketing. The operators of Pitch Engine Australia has been a part of the SEO industry since 2004. As journalists, website builders and publishers we have been a global Google News source because of our writing skills, our team of internet experts and because we know what Internet users expect from the wide range of websites offering products, services or events. Pitch Engine Australia focuses on sharing our expertise and resources to make an online impact in any industry with superior website building content and a prominent online presence. For more than 10 years we have been developing effective SEO, PPC, CRO content for others as well as content marketing strategies as part of tailor-made packages for a range of other SEO industry leaders in many countries. We now operate as a team to boost business for our own clients as well. PitchEngine Australia are experts at fast publication of SEO content for PR firms and SEO professionals. Contact us to contact@rogersdigital.com to discuss. It is not rocket science. There is no mumbo jumbo. SEO is best carried out by people who keep in touch with what Google wants and writes who can write the content that search users are looking for. For 10 years Pitch Engine Australia has worked with clients and other SEO people to boost their online prominence. Often it involves public relations, publicity, reputation repair, staff profile building or just plain old selling products or services. Our group excels in all areas of digital marketing because we have been a part of all aspects of the industry. Our knowledgable SEO strategists and creative content writers are proven campaign operators. Members of our panel have kept up to date with industry changes by attending expo's and conferences around the World. An SEO team incorporates many talented people who collectively share their expertise as part of a task force brought together for a specific client need. Digital marketing is increasingly a team caper. One person can't know it all. We have the right mix of people to look at a mission from lots of angles to devise a workable cost effective SEO strategy and pass it on to talented SEO operators to put into action. We do not list our clients to boast by basking in the glow of their trademarks . We operate confidentially. 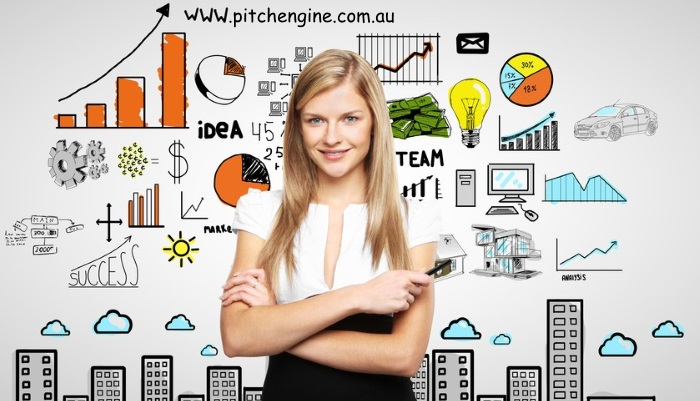 In one way or another we have helped 100's of businesses in the 10 years that Pitch Engine Australia has been online. We still do, every single day. Every business has different SEO needs. That is why there are many very good SEO businesses. Some focus on one or two industries while others focus on one aspect of business marketing. At Pitch Engine Australia, we listen to what people have to say about why they contacted us. From that client brief we come up with a plan to put to them. Devising a digital marketing strategy that will actually work, is not simple but success is achievable and translates to sales, more fans, testimonials, more customers and best of all - word of mouth social media buzz. Pitch Engine Australia does not do a lot of innovation. Google sets the rules we don't. We follow. Anyone who promises first page on Google needs to be interogated and asked to back up that boast because it is hard to achieve. We use proven techniques that interweave strands of online, press, TV, radio and social media opportunities as required. The Internet was the latest innovation and we know how to use it., SEO is not magic.. it is sticking to proven techniques that work. Our clients do not pay us to practise on their business. We build innovative business websites that take advantage of the rules that Google and the millions of Internet users set. Whether it is to sell, promote, explain or take advantage of social media, Pitch Engine Australia has the right people to get it done and the very effective hosting packages. Contact us... contact@rogersdigital.com or 0498 136 869 for Australia. The essence of content marketing is preparing very high quality articles for press or online publication about a person, event, product or service. The intent is to become a recognised authority on the topic and provide a link or recommendation to a provider of the product, event or service so that search engines and then people, read the copy or report, believe it and follow the link to the provider. An example would be a suburban dentist who offers root canal fillings. He would brief a journalist or writer like those at Pitch Engine Australia to use his notes on the technical side of root fillings to prepare a high quality referenced document ( to the Wikipedia standard ) which is then published on the dentist's website or a high pagerank website or a high traffic website so that people can read it and make a decision to consult the dentist to fix the hole in their tooth. The same thing happens when promoting soft drinks, car insurance, flights to Rio or an event. Search engines deliver most traffic to websites so the aim is to pay someone to write the best copy imaginable so that Google in particular, shows it first to people looking online for information. There are some other aspects to consider. 1. 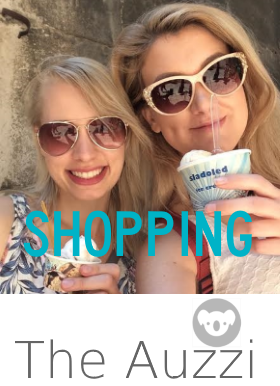 The copy must be concise as many people use mobile devices to search for products so they don't want to read a short story. 2. The content marketing copy has to be original. The facts won't change for many products or services but Google and the owner of content that is already online, will not reward stolen words. Stolen content may not result in a day in court but it will be ignored by Google. So what is the point of stealing online content? 3. The article containing the information has to be local and relevant. There is not a lot of point having information on river cruises in Germany on a website about wart removal in Sydney. Be seen in all the right places to create or maintain credibility. How important is pagerank and when will there be a page rank update ? Google certainly ranks websites and attaches a rank to the content however it appears that there will not be a PR change soon. Google wants unique relevant content and the search engine computer programs will send traffic to websites that answer the questions that people ask. There was a fault in the old page rank system that rewarded websites with the highest page rank even though the content on the site was old, outdated, wrong or of little interest. Google now rewards the quality of the content. So that is where SEO should be focused - Good well written content. I wouldn't use PageRank or links as a metric. We've last updated PageRank more than a year ago (as far as I recall) and have no plans to do further updates. Think about what you want users to do on your site, and consider an appropriate metric for that. Google has confirmed how important responsive webpages are by devoting space on its blogs and webmaster tools to explaining about how vital it is to have a website that is mobile device friendly. People have to be able to navigate around a website on iphones, see images, read the text and perhaps more importantly from a Google perspective, see the advertising. All websites that we build at Pitch Engine Australia for customers are mobile friendly. It is not an option anymore as fewer people are buying a PC for their shopping and social media interaction. The lesson from this section is : If your website is not mobile friendly then you are losing traffic because Google tests every website now. Contact seo@Pitch Engine Australia for mobile friendly websites We have a team that renovates and builds mobile friendly websites... Fast !